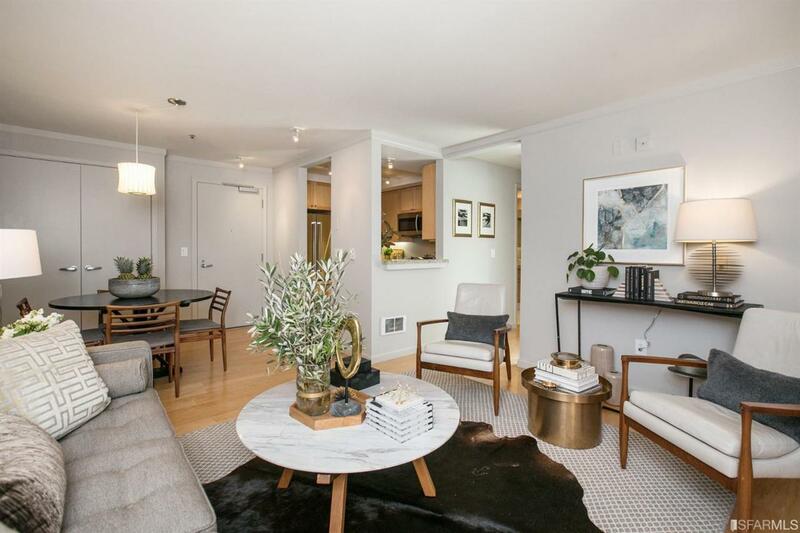 Set in the serene center courtyard, lined with mature maple trees, this one-bedroom condominium offers amenities and conveniences of the bustling NOPA neighborhood. 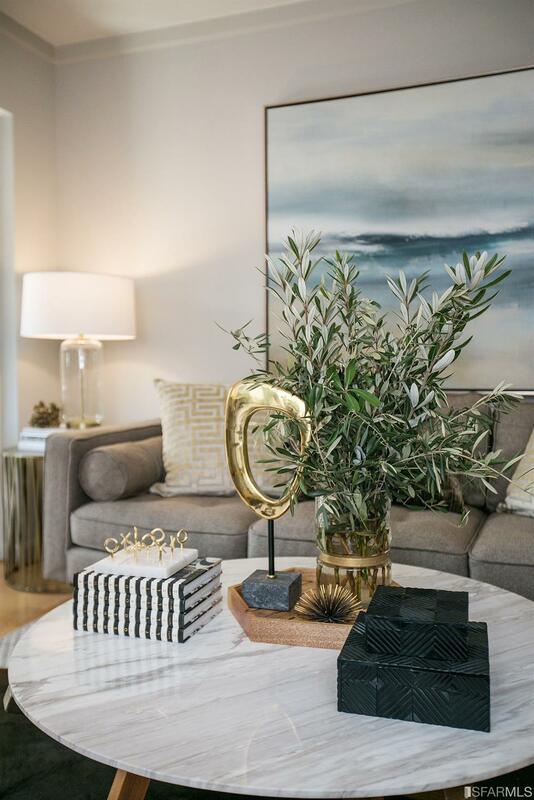 The contemporary interior features an open concept layout and direct access to a private fenced in patio. The spacious bedroom, easily accommodating a king sized bed, has two walls of windows that have been outfitted with custom plantation shutters. The bedroom also features a large walk-closet. 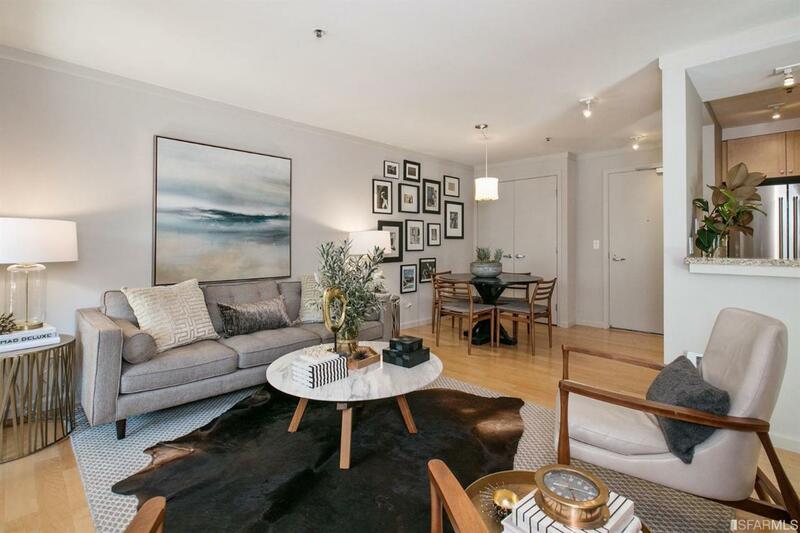 Amenities include; an in-unit washer and dryer, 1 car secure parking, wall mounted bike rack, and use of common areas including the club room and nicely appointed gym. HOA fees include; water, insurance,trash collection, on-sight manager, security, and maintenance. 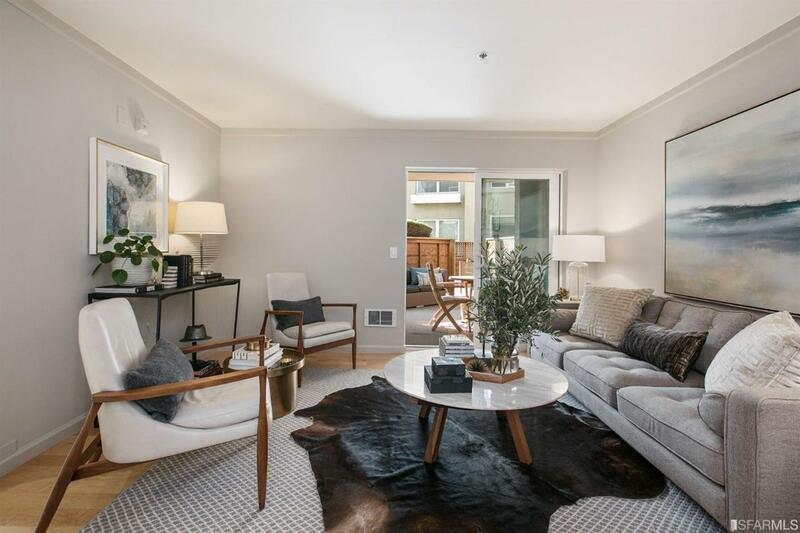 Listing provided courtesy of Joseph Marko of Compass Sf.